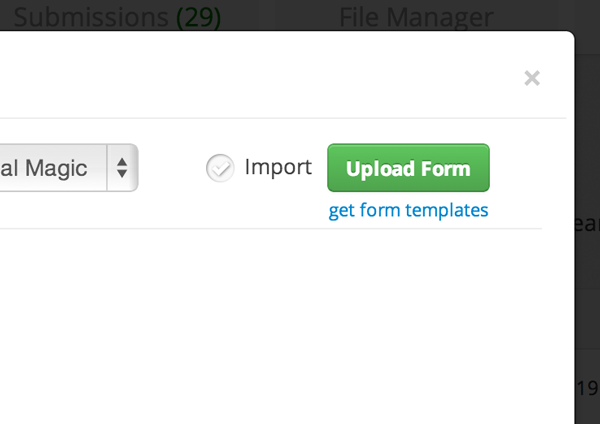 You can now export your forms as templates, and import then on any other Formaya account. In the form builder mode, go to Form Options -> Export Form. This will allow you to download your form as a text file. In the Formaya.com admin panel, go to the Forms tab and click on Add Form. Select the Import option, and upload the text file. Fill up rest of the details to import the form.